Terrible. If there is any possible way to be vague yet confusing at the same time, the story of Stargirl Caraway is right on target. This book written by Jerry Spinelli, is realistic fiction and bores a reader such as myself from the very beginning. Identical to every single movies’ message, there is a quirky girl who nobody likes; but by the end has everyone accepting one another’s’ differences. Stargirl Caraway, the main character and “quirky girl”, is bizarre-beyond-belief who changes her name every given year because she feels like it. With her strange pet rat, Cinnamon, living in her sunflower-canvas backpack, Stargirl dances in the rain, and strums her ukulele while singing with it all throughout the book. She cheers for the opposing team, and notices things no other human being on the entire planet could notice. This David vs. Goliath book presents a happy tone, and favors the theme, “be yourself no matter what”. However, Jerry Spinelli’s book was so indefinitely short, (186 pages) that the events in the story happen unrealistically fast. 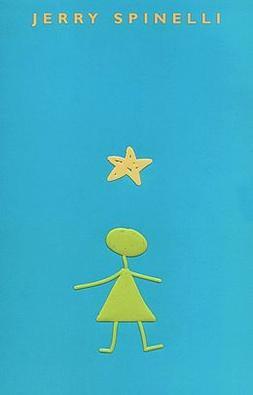 For example, only about fifty pages into the book, Stargirl Caraway and Leo Borlock, another main character, “fall in love” and Stargirl is irrelevantly shunned by the entire school about forty pages after. With a mood that changes so much, the reader does not know what to think. As proof of this, Leo is telling the reader that he hates Stargirl a short time after being smitten with her. While being rushed and confusing, the events in the story seem random and thrown together. To clarify, Leo Borlock is weirdly obsessed with porcupine neckties, and Stargirl somehow knows everyones’ birthdays. In addition, Jerry Spinelli also leaves boring cliffhangers that any reader could easily predict, or that were explained on the blurb. As well as having a predictive plot, this dull read has a climax that seems as though it is completely fumbled around, and the ending leads to absolutely nothing. Many reviews suggest that this book was amazing and great, whereas in my eyes, the praise in Stargirl is anything but true.